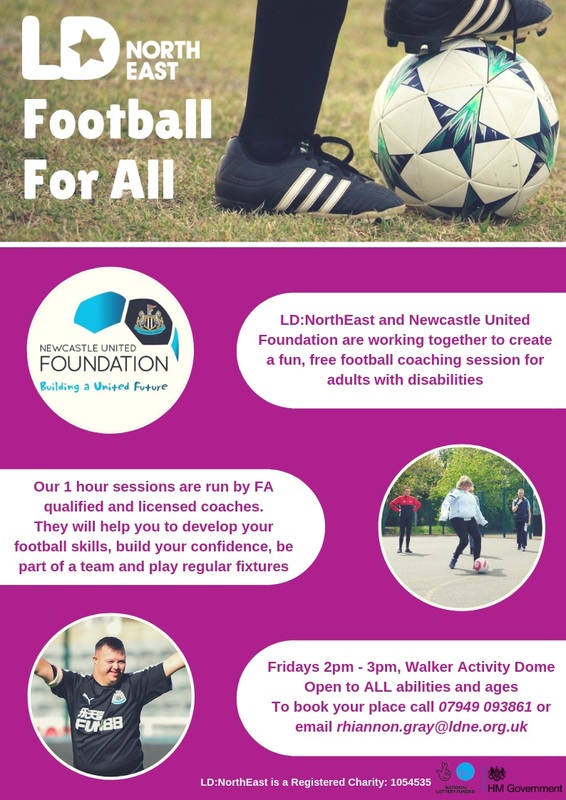 LD:NorthEast and Newcastle United Foundation are working together to create a fun, free football coaching session for adults with disabilities. Our 1 hour sessions are run by FA qualified and licensed coaches. They will help you to develop your football skills, build your confidence, be part of a team and play regular fixtures.